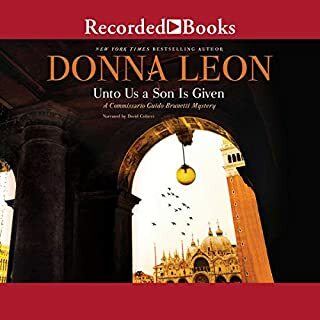 Count Falier urges his Venetian son-in-law Guido Brunetti to investigate, and preferably intervene in, the seemingly innocent plan of the Count's best friend, the elderly Gonzalo Rodriguez de Tejada, to adopt a much younger man as his son. Under arcane Italian inheritance laws this man would then be heir to Gonzalo's entire fortune, a prospect Gonzalo's friends find appalling. Then Gonzalo unexpectedly, and literally, drops dead on the street, and his good friend Berta Dodson, just arrived in Venice for the memorial service, is strangled in her hotel room. We listen at lunch and while in the car. Many times we would not leave the car just to see what would happen next. Loved the narration by Simon Vance so much we are hesitating to choose the other novels as Simon is not the narrator. Not to take anything away from the book and the author, but he became part of the experience. You will enjoy this book. This is a wonderful and complex story. 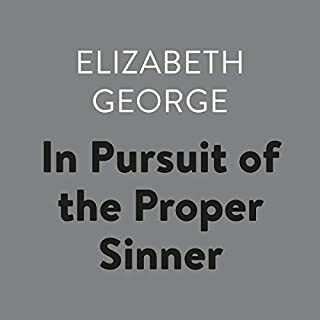 Elizabeth George does a wonderful job of both the characters that we know well and the new characters that we are introduced to in this book. 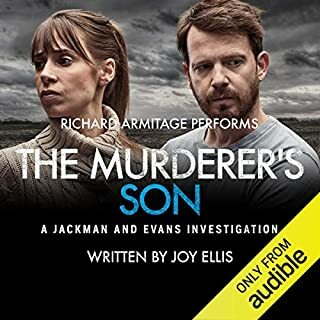 I thought the narrator did a great job as well, with all the different accents and genders. 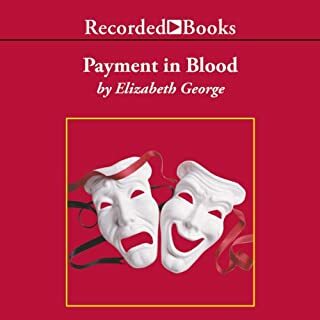 I have loved Elizabeth George's books for years! Inspector Lynley and Barbara Havers never disappoint. There were so many concurrent stories that I never tired of this book, despite its length. Well written and well narrated. Great reading by Simon Vance. 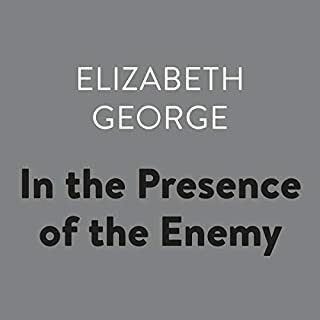 As usual excellent book by Elizabeth George. I have read most of her books. Several times I am always waiting for the next one with great anticipation. Inspector Lynley and Sgt.Havers are such interesting characters. They work their magic ways through such intricate plots and come out on top each time. 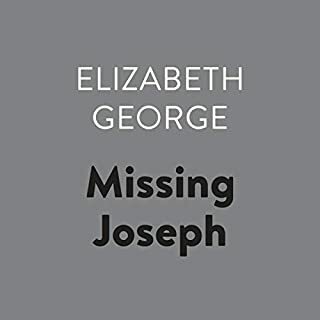 Ms. George has such an understanding of the people involved in her stories she is a master of information in the complexities of the mind. Thank you for another great read. Linley and Havers Together Again.! This book is a compelling read. Takes a few unexpected turns to an exciting finish. a who done it that is not easy to figure out. One of her best books.! 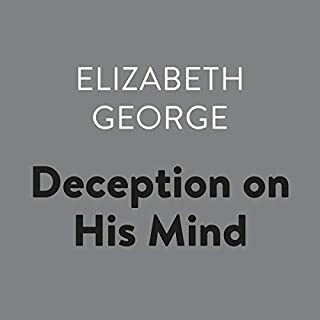 Elizabeth George is a master at making pictures in your mind. Her characters are so real you connect with them on every lebel. 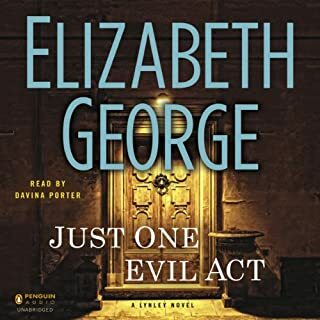 #Audible1 - Elizabeth George is an exquisite mystery writer and keeps drawing one into the plot further and further. Just when one believes they have the mystery figured out there is a new piece of evidence dropped in that turns one in a different direction; tantalizing one to think and listen more carefully and to even go back in the story. I wish I would have been aware of the whole "Inspector Lynley Series" at the beginning. I would have started with the first in the series instead of starting at book 17 to 20. Now I will wait with as much patience as one can muster for book 21. 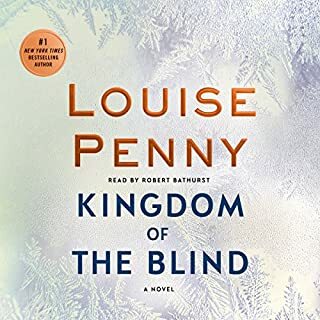 The author also does a good job of keeping the main characters in her books actively involved, at least in each of the stories I have listened to. Thank you for a great listen. I will very likely go back and enjoy the first 16 books in the Inspector Lynley Series just for sheer entertainment. After George killed off Helen, I avoided her following books. Friends encouraged me to give her another try so I listened to the previous book in this series and found it ok. Enough ok to purchase this book. I truly enjoyed The Punishment She Deserves from start to finish. I am past the death of Helen, I like these characters and was happy to spend twenty hours getting to know them again. Simon Vance is outstanding as always. It's a good mystery although easy to figure out, but the story is the thing, not so much the who done it. Hurrah! 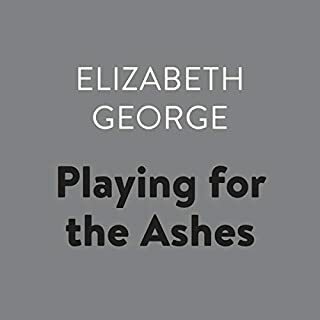 Elizabeth George Is Back in Top Form! This book is fantastic. 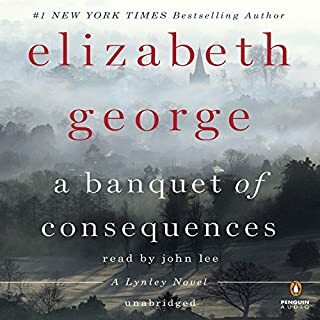 I have read or listened to nearly all of George's Lynley books, and this is my new favorite. I am so relieved and happy because the past several books had shown a decline. I won't go into that now, but want to say how superb this one is. The story is--as usual--very complex and character-driven. 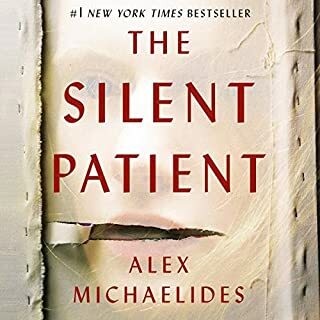 The multiple human actions and motivations that lead to a crime are threaded through the narrative in just the right way so that each plotline reaches its climax in the last part of the book. What is so wonderful here is that the characters' actions are completely plausible as well as fascinating. There is a theme beneath the various storylines that is never hit upon directly but is there for the attentive reader to think about. 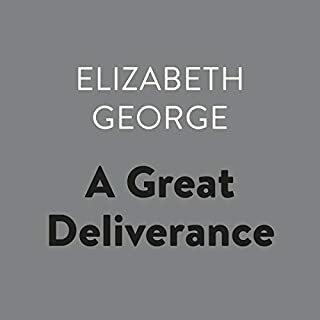 George plies her characteristic technique of going into the minds of multiple characters with the utmost skill and a deeply satisfying result. Several important storylines (for Lynley, Havers, and Isabel) are advanced to believable and deeply moving positions. The narration by Simon Vance is first-rate. Male and female characters are brought to life with ease. My only sadness is that now I have a long time to wait for her next one! I have missed Inspector Lynley and Sergeant Havers. This was a glorious moment of reacquaintance. Top notch from start to finish. 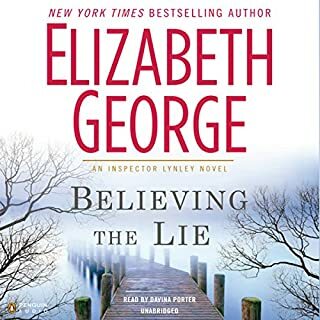 This is a good one with Barbara and Lynley and the alcoholic Isabel working on a case in the provinces where police misconduct is suspected. 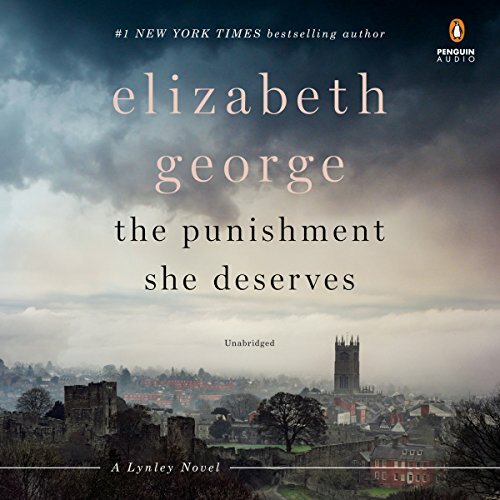 I’m almost ready to forgive Elizabeth George for killing off Helen eight or 10 books ago. I loved this book! 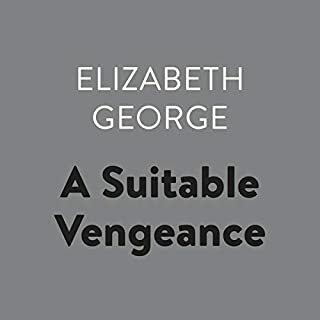 I have to say that I'm a fan of Elizabeth George and all of the Lindley characters, so I was predisposed to a positive reaction. 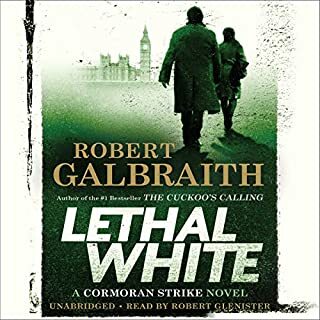 However, setting that aside, the story was well thought out and the personalities introduced as part of the narrative were interesting and complex. Readers who've been following the series should be thrilled, but it's easy enough for first-timers to catch up. Highly recommend! 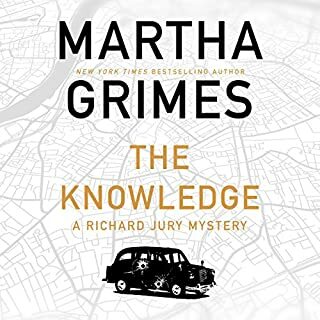 I really enjoyed this book in fact I found it hard to stop listening . 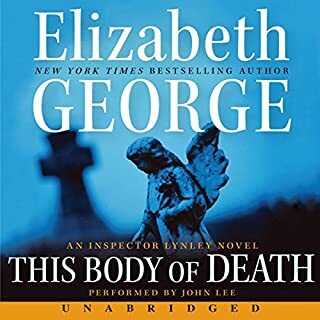 All the main characters story lines have been moved on and the book itself was gripping , the narration was perfect and so I think this is one of the best in the Inspector Lynley series. Wonderful addition to the series. Simon Vance knocked it out of the park....tone, pace, voices -- all of it. the plot is full of twists and turns and the characters are well developed as usual. a great listen. I tried to make the book last but it simply wasn't possible. Barbara and her tap dancing were utterly hilarious and charming. Complex human circumstances and challenges. Now, the waiting for another book begin.